I have a small patch of Spring onion planted in my raised bed, it has been almost 6 years, I never uproot them, I will cut only the green parts for cooking and it never failed to regrow throughout summer. They go into hibernation during the winter months and if I fertilize it well, it will come back stronger and thicker than before! 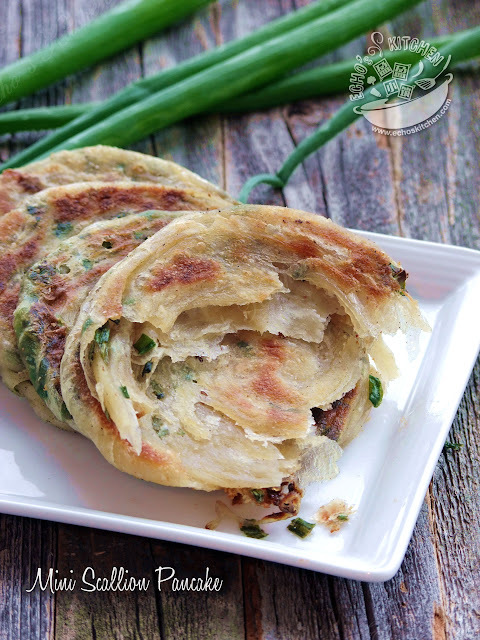 Last weekend I harvest a bunch of the spring onion and make this mini pancakes for lunch, it is crunchy on the outside and soft in the inside, we all savoured it well.